Major cyber assaults are seeing on the rise again, Kaspersky Lab report claims. 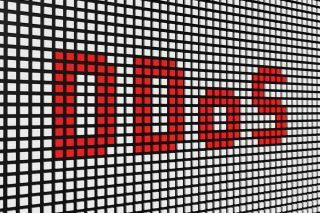 DDoS attacks are on the rise again as criminals turn to brute force attacks once more, new research has claimed. The latest DDoS Intelligence report from Kaspersky Lab, covering the third quarter of 2017, says there has been an increase in the number of countries where resources have been targeted. The number of attacks against gaming and new financial services has also grown. Kaspersky Lab says resources in 98 countries were DDoSed this quarter, up from 86 the quarter before. Looking at the top ten countries in terms of number of targets, Russia is up from seventh to fourth place, while France and Germany pushed Australia and Italy out of the list. The top 10 most popular host countries for botnet command servers include Italy and the UK, moving Canada and Germany out of the picture. The share of Linux botnets is growing, and they are now accounting for 70 per cent of all attacks in Q3, up from 51 per cent in Q2. The report also says cybercriminals are moving to more sophisticated attacks. It gives an example of the WireX botnet that spread via legitimate Android apps, or the Pulse Wave tech that increases the power of DDoS attacks through vulnearibilities in hybrid and cloud tech. Kaspersky has also observed an increase in variety of targets. "Entertainment and financial services – businesses that are critically dependent on their continuous availability to users – have always been a favourite target for DDoS attacks. For them, the downtime caused by an attack can result not only in significant financial losses but also reputational risks that could result in an exodus of customers to competitors,” says Kirill Ilganaev, Head of Kaspersky DDoS Protection at Kaspersky Lab.